The magnetic relationship of the 2 hemispheres of the brain is readjusted with this meditation. Sit straight. Slightly cup your left hand and hold it over your left ear. Hold the left arm up in front of you so that the upper arm is parallel to the ground. Extend your right arm straight out to your side. 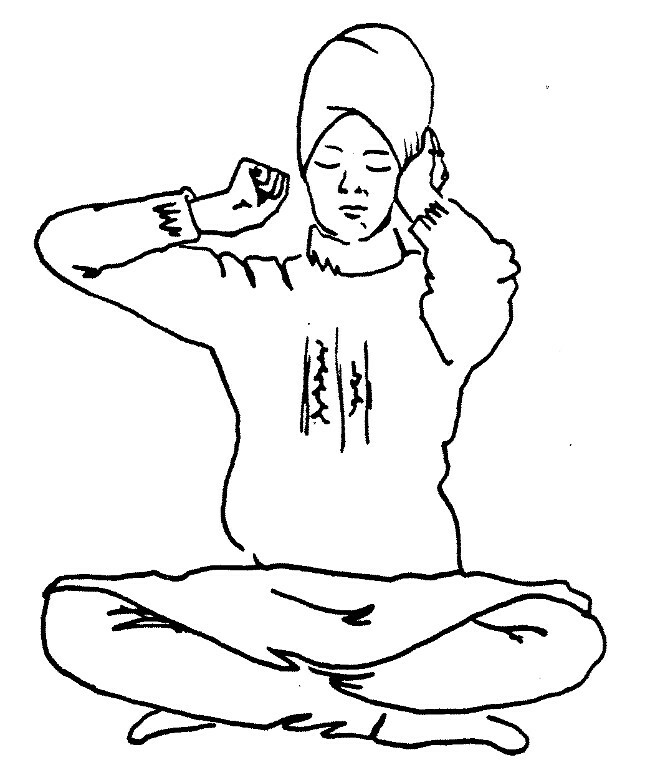 Bend it so that your fist is by your ear with the hand in conch mudra (see drawing). Do the rneditation for 11—31 minutes.